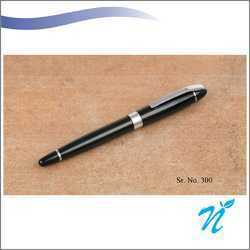 We provide a wide range of Metal Pens for your daily as well as gifting requirement. We provide a good range of Metal Pens. Attached is an elegant look metal pen in Black colour for your daily use. Minimum Order Quantity - 100 pcs. We provide a good range of Metal Pens for your daily requirement. Displayed here is a black coloured metal pen. Attached is a Black Metal Pen. 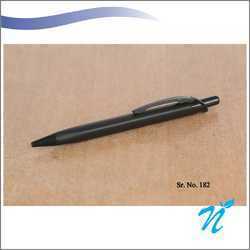 We provide a wide range of Metal and Plastic Pens. Attached option is of an elegant metal pen. 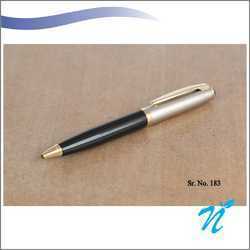 Black and Silver coloured Metal pen with Golden Parts. We provide a wide range of Metal pens for your daily use. These are elegant in looks and would add a charm to your office as well as personal use. We provide a wide range of Metal Pens. 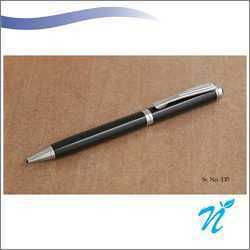 Attached option is an elegant Black and Satin Ballpen. Attached is a Black slim Ballpen with Golden Parts. Attached is an elegant look metal pen in Black and Silver colour for your daily use. We provide a good range of Metal Pens for your daily use. 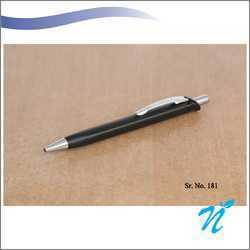 Given here is a Metal pen of Black and Silver colour combination. 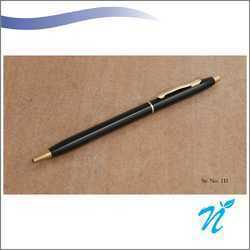 Attached is a Satin silver finish and Black colour metal pen with Golden Parts. Attached option is of a Black Pen. We provide a wide range of Metal Pens for your daily office and personal use. 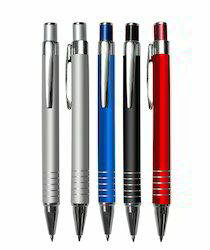 Attached is a Satin colour Finished Metal Pen. Attached is an elegant looking black pen with Golden Parts. 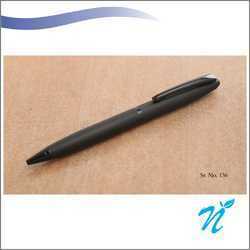 This is a Black Roller pen. 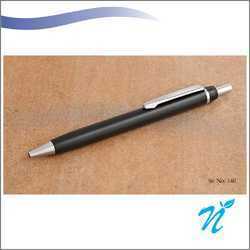 Attached is an elegant looking black pen with Silver Parts. 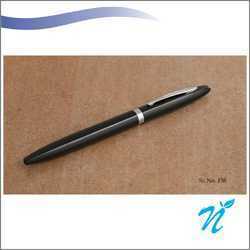 Attached is an elegant looking black pen. 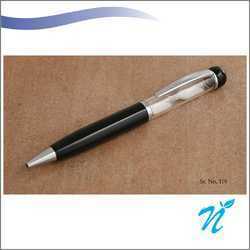 Attached is a two tone Ballpen , black coloured metal pen with stylish Satin colour combination. Minimum Order Quantity = 100 pcs. Attached option is a Black and Silver Metal Pen. 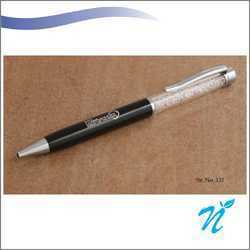 Black ball pen with Artificial Crystals. Attached is an elegant model in Satin finish with Golden parts. Black and Golden Metal pen. We provide a wide range of Metal Pens for your kind perusal. 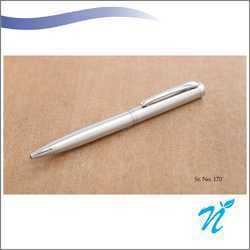 Attached is a pattern of Metal pen which can be used in your daily routine. Attached is an elegant model in Black color. 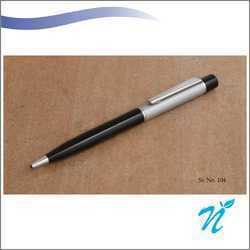 We provide a wide range of Metal Pens for your daily requirement.